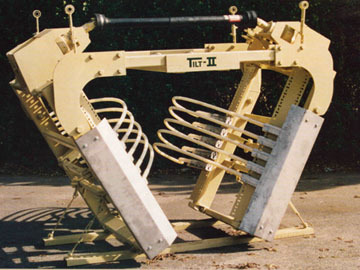 Tilt-up can be used on vertical or divided canopy trellises. 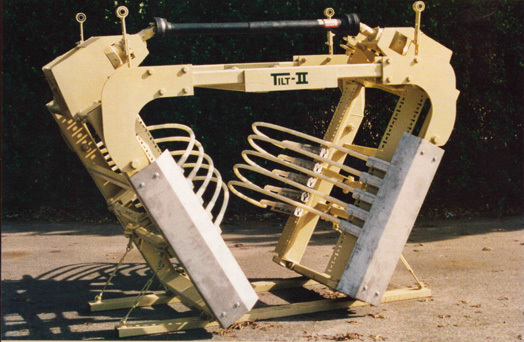 By installing larger "H" frames Tilt-up can tackle trellises up to 52, 60 and 72 inches. For easier adjustment it can be equipped with a compressed air driven width adjustment package. The tilt angle is adjustable up to 45 degrees. Tilt-up can be equipped with our standard Bo-Rod, Full Contact Rod or Quad Rods.